It’s strange how small things stick in your mind when you are growing up as a kid, and the wicker basket flags is a memory I will never forget when watching Australian David Graham coming from behind shooting a near perfect 67, but those wicker baskets had me hooked and to this day no one seems to know why or when this tradition started. The Merion Golf Club and those wicker baskets have had their fair share of time in the limelight, no more so than when Bobby Jones completed his Grand Slam here in 1930, on the way to adding the US Amateur Championship to The Amateur Championship, Open Championship and US Open Championship. A comeback story up there with the best of them would be the great Ben Hogan striding the 18th fairway, winning an 18 hole play-off against George Fazio and Lloyd Mangrum, 16 months after his near-fatal car crash and of course the 1971 play-off between Nicklaus and Trevino which saw the Merry Mex take the trophy. It seems that Merion loves a play-off and I wouldn’t be surprised to see another one here this year. Tiger Woods 11/2 is the favourite with the bookies and with his record going into the Memorial Tournament of four wins from seven starts on the PGA Tour you can see why. In that sort of form it’s hard to look past Tiger adding to his three US Open victories. Tiger didn’t have the greatest of times at the Memorial, but you can bet he’s been working diligently on his swing since then. With the odds being a bit too low on Tiger, I am going to give you three alternatives to watch out for. 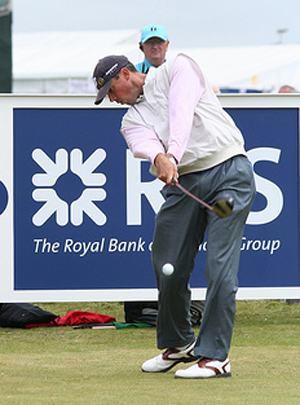 Matt Kuchar 20/1 has been so close to picking up his first major. He was in contention again at this year’s Masters, where he was one of my picks. 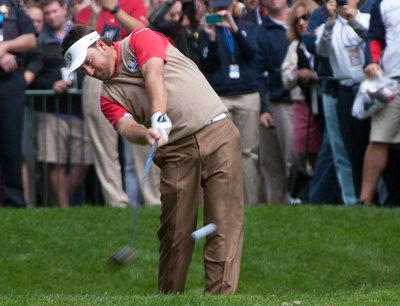 “Kooch” looks to be coming back into form at the right time and showed at Colonial that he can scramble. Yes he should have won there, but he still managed to shoot a final round 68 when parts of his game were just barely hanging on. 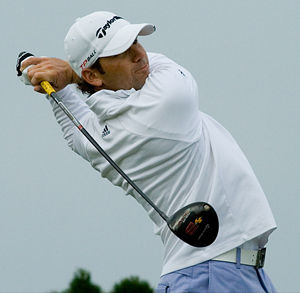 Another ball-control genius is Sergio Garcia 25/1. It’s a shame that what he said about Tiger was blown out of context: Yes, it was stupid and was easily taken the wrong way. But take this the right way: Don’t be surprised to see Tiger and Sergio paired together on the final day at Merion. Sergio is in great form, but the secret to him mounting a challenge will be how he manages a hostile crowd, I can see him using it like a Ryder Cup crowed which could work in his favour. I hope the fans show sportsmanship and gentlemanly conduct, and that this great championship isn’t overshadowed by off-course matters. A player I have had a feeling about for the last couple of weeks has been Graeme McDowell 22/1, he’s a great ball striker and when he gets that flat stick working is a wizard on the greens, that’s a great combination along with being past winner of the US Open. GMac has a win and two other Top 5 finishes from eight events on the PGA Tour so far, add in his win at the Volvo World Match Play Championship and the lad from Portrush will be a major player here this week. 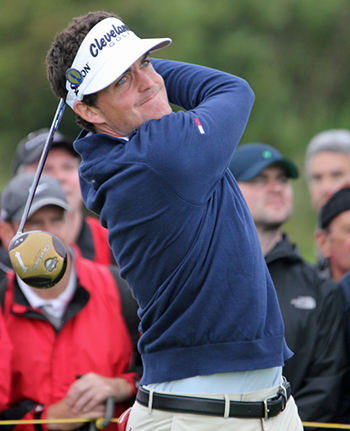 I was surprised to see Keegan Bradley 50/1 at these odds, it’s been a bit of a roller coaster year for the Woodstock lad, but I think being paired with Phil Mickelson 20/1 is going to help him immensely over the first two days. The last time I tipped Keegan in a major was when he won the PGA Championship when he was 150/1 he’s come a long way since them and I think he will be challenging here come Sunday. Matteo Manassero 60/1 is the youngest European PGA champion who won that championship a few weeks back in a playoff. In 2012 Matteo became the first teenager to win three European Tour events. He is also the youngest winner in European Tour history (the 2010 Castelló Masters, at 17 years and 188 days) and the youngest—and first Italian winner of the Amateur Championship in June 2009, followed by the low amateur in The Open at Turnberry that same year. Matteo set another record in April 2010 when he became the youngest player at that time to make the cut at the Masters, where he finished in a tie for 36th place in what was the best performance by a European amateur for 73 years. Breaking records seems to be his forte, so who knows? My outside bet is Billy Horschel 80/1. I like the way this lad plays and until he missed the cut at The Players he was on a great streak with a win and three other Top 10 finishes in four events, including runner-up at the Shell Houston Open. Nerves seemed to get the better of him playing in front of his home crowd in Ponte Vedra, but that experience may stand him in good stead here. Billy had another Top 10 finish at last weeks St Jude Classic and his scoring got better each day so he should be coming into this week in confident mood.